The Ulefone Note 7 is now official. The phone manufacturer has actually upgraded in terms of technology. Although they copy the design of the Huawei Mate 20, however, the innovative body will surely attract more buyers. It’s part of the marketing strategy. So if you are in need of a budget device that has a triple rear camera with a waterdrop notch and almost Invisible bezels, then the Ulefone Note 7 might make a wise buy. The device is now official on their website and it has an affordable price tag. 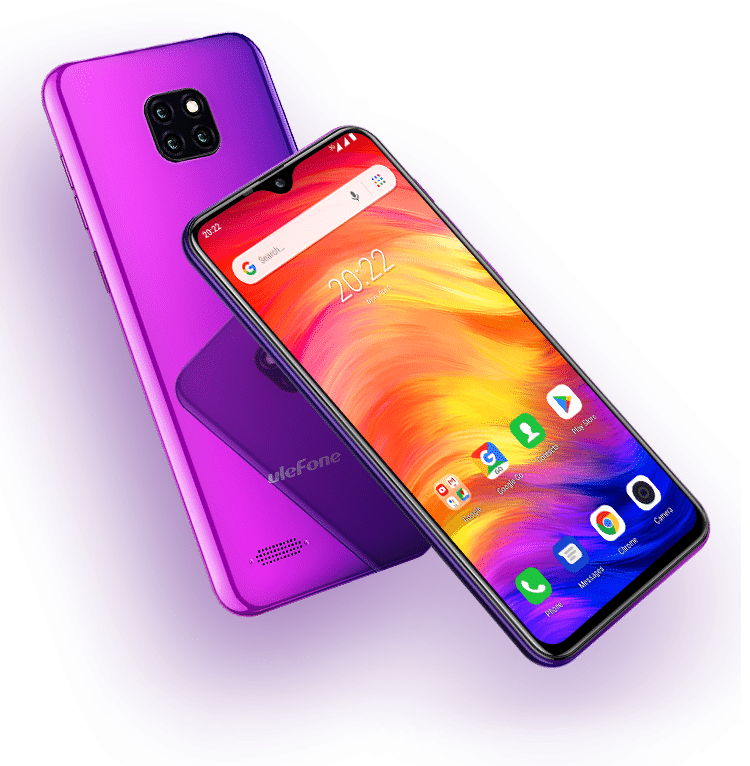 It features a screen display size of 6.1″ in-cell with a waterdrop notch that offers 19.2:9 aspect ratio which gives the phone an appealing and classic look. The notch is where the front camera is hidden and it still leaves specs for status bar and other icons. When it comes to the camera, the phone features a triple rear camera in a square. The camera consists of an 8MP main sensor, a 2MP secondary, and a 2MP third lens. For selfies, you will get a front camera of 5MP which will also serve for video calling. Under the hood, the Ulefone Note 7 is powered by MediaTek’s MT6580 quad-core SoC coupled with 1GB RAM with 16GB of internal memory. You can still expand the device up to 64GB via micro SD card. Fueling it is a nonremovable battery capacity of 3500mAh which promise to last up to 2 days on a single charge. The 1GB make it a lightweight device, so it runs on Android Go Edition. Other features on the device include the 3.5mm headphone jack and slot for dual SIMs.